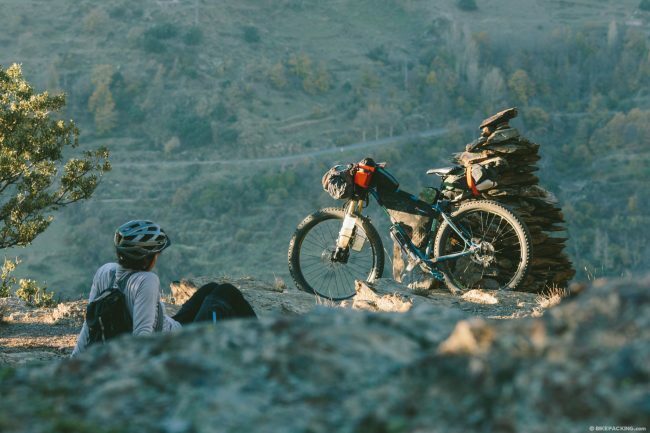 Bikepacking.com, il sito di riferimento per gli appassionati del cicloturismo estremo, l’ha inserita di prepotenza tra le 5 migliori bici del 2016, nell’ambito del suo “Bikepacking Gear of the Year“, i suoi personalissimi oscar alle migliore attrezzature per la pratica del bikepacking appunto. 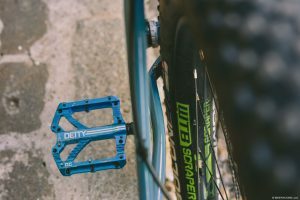 Jamis Dragonslayer in 650b+ è una front in acciaio dalla spiccata vocazione per l’avventura, eclettica e affidabile. 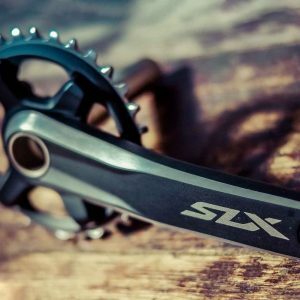 Tra le cinque biciclette selezionate, quattro sono mountain bike in versione “Plus”, tre delle quali in 650B, a ribadire ancora una volta l’eclettismo e la polivalenza delle gomme a sezione maggiorata rispetto alle standard. E in quest’ottica vanno intepretati numerosi modelli in 26+ che verranno proposti nel 2017 che altro non sono che versioni più magre di quelle 26″ fat che hanno dato uno scossone al mercato, alle credenze e alle abitudini consolidate in decenni di apatia tecnica relativamente al formato delle ruote per l’off road. 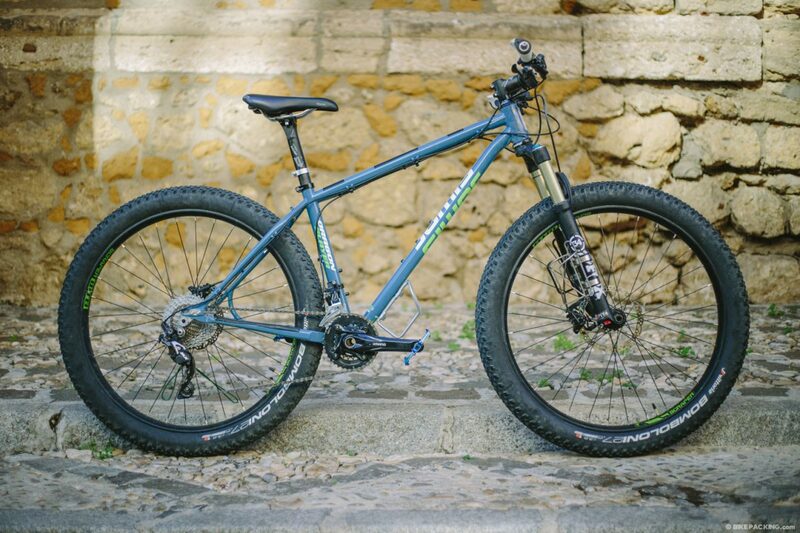 Jamis Dragonslayer è una pregevole realizzazione in 650b+ costruita attorno a un telaio in acciaio CrMo Wei Hai Endo Superlight 4130 a triplo spessore con geometrie proprie di una trail bike, inoltre i forcellini scorrevoli permettono correzioni di assetto ma anche l’adozione di ruote in 29″ standard. I tecnici di Jamis non hanno trascurato nulla quando hanno avviato il progetto Dragonslayer avendo ben chiaro la sua destinazione d’uso, a cominciare dallo standard Boost adottato sia al posteriore (148×12) che per la forcella Fox Float Performance con 120mm di escursione (110×15) che conferisce alle ruote quella rigidità necessaria a compensare la deriva delle coperture Vittoria Bomboloni da 3″, gli attacchi per tre portaborracce e per il portapacchi assolutamente necessari per un mezzo concepito per l’avventura e il bikepacking e la guarnitura Shimano Deore 2×10 intelligentemente coniugata nella versione 36×22, la più indicata per muovere una bici rallentata non solamente dalla coperture in versione Plus ma soprattutto dal bagaglio del cicloviaggiatore avventuroso. 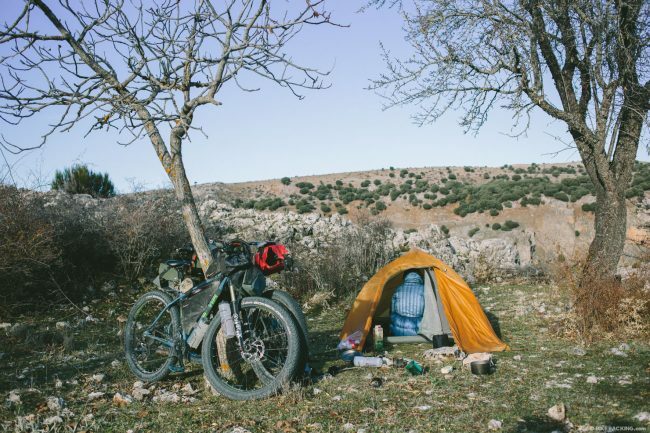 Tra gli appunti mossi a Jamis dal tester di Bikepacking.com uno mi sento di condividerlo: un mezzo del livello tecnico, della cura nei particolari ma soprattutto destinato a un uso che mette a dura prova ogni suo componente avrebbe meritato una coppia di freni più performanti dei Deore di primo montaggio e gli SLX sarebbero stati perfetti e più in sintonia col resto dei componenti. 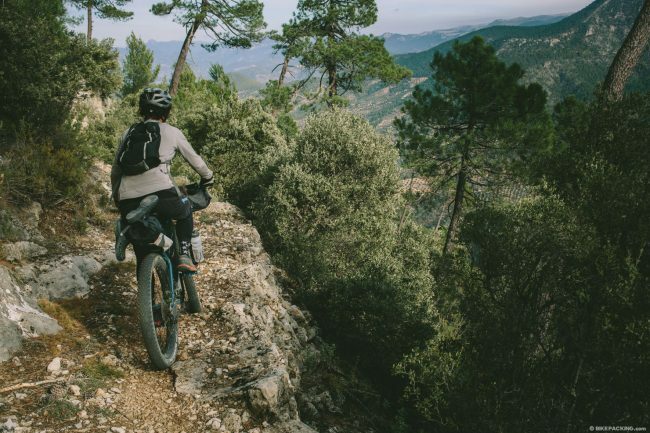 So, when Jamis kindly offered to lend me their new Dragonslayer 27.5” hard tail for our six week exploration of southern Spain, I had my reservations. 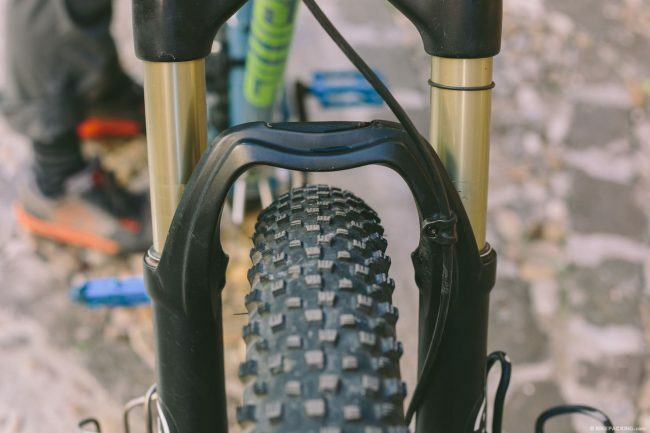 I’d never ridden on plus-sized tires and wasn’t sure how they would affect the fit or responsiveness of the bike. I anticipated slower, even sluggish speed. 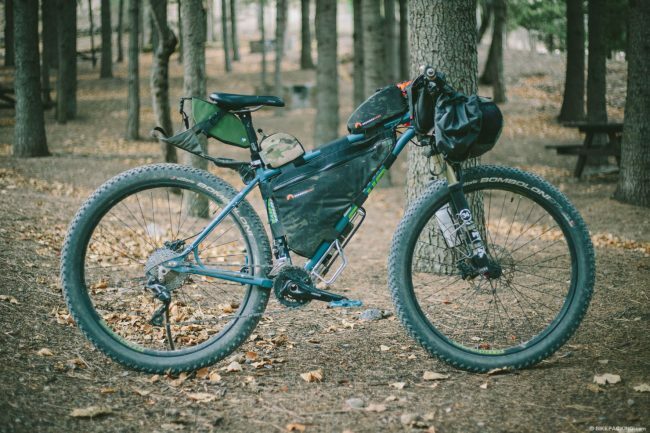 I worried that, without a forward or rear rack, I wouldn’t have room for all of my gear, and a loaded seat pack wouldn’t fit in the space between the saddle and a beefy 3” tire. But, most of all, I dreaded the inevitable, repeated adjustments that would likely lead nowhere. On the other hand, I figured I had little to lose. I hadn’t found comfort anywhere else, and the Dragonslayer’s badass name and styling alone made it worth a look see. 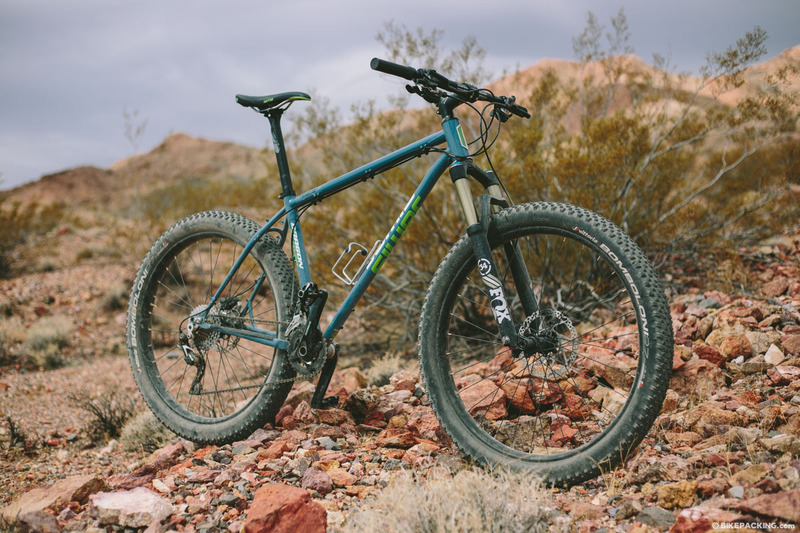 The 2016 Dragonslayer is the plus-sized, “adventure” version of the Jamis Dragon. 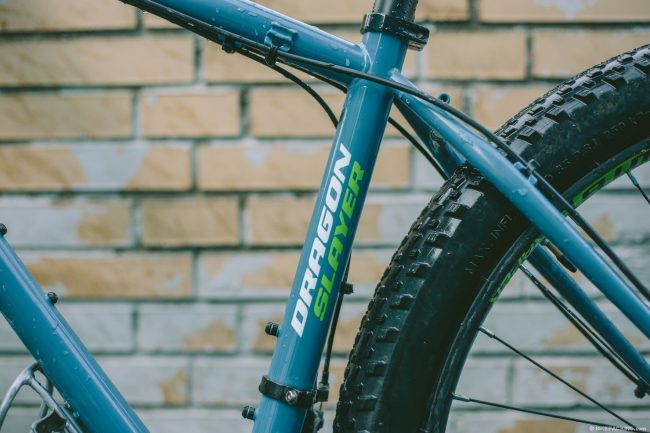 Like its predecessors, the Dragonslayer features a triple-butted steel frame with its geometry based on fun: a relatively slack front-end and short chainstay length. 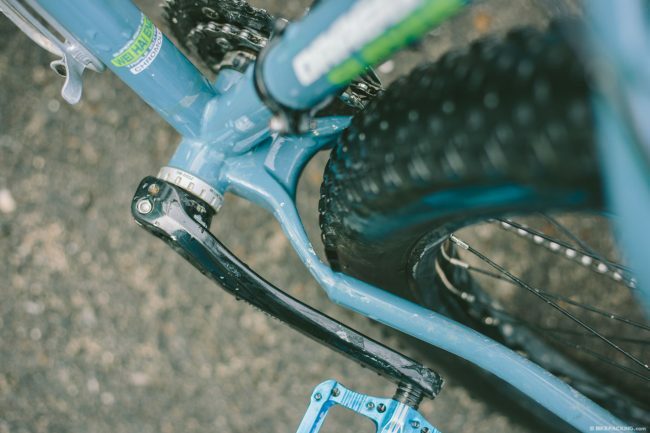 With 120mm of travel provided by a Fox 34 Float fork, this bike screams to be aggressively ridden on singletrack. 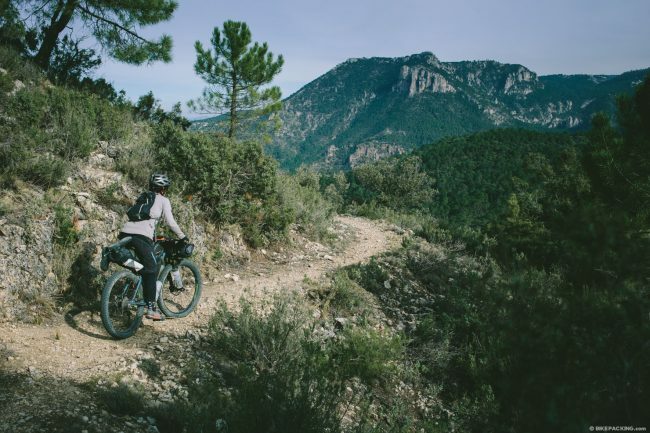 On our route through southern Spain, we planned to incorporate as much “real” trail riding as possible, but, from previous experience, we knew that we’d be encountering all kinds of surfaces, and I wasn’t sure how the bike would perform on the sand, dirt, boulder strewn jeep tracks, gravel, tarmac, and potential mud we would be facing. 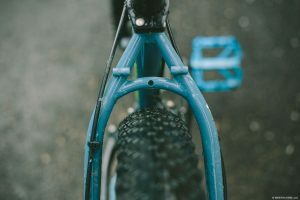 Here’s where the more technical aspects elude me a bit, but I’d say that the overall geometry of the bike coupled with the wide, yet surprisingly light feeling tires (890g) are the keys to the bike’s performance. 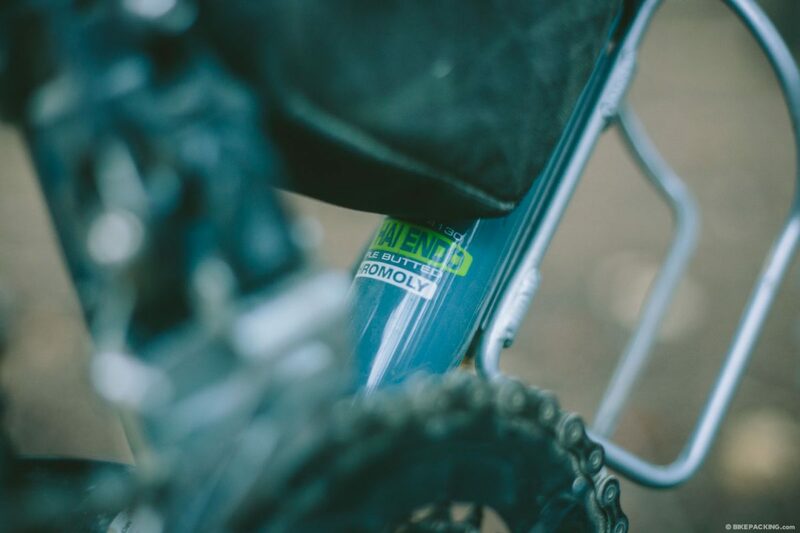 With an upright seat tube and short chainstay, it felt like there was minimal loss of energy transfer on climbs. In the past, even with plenty of knob to my tires, I’ve battled slippage on loose surfaces. Not an issue with the Dragonslayer. The bike felt agile, despite all of my gear, so I was able to effectively pedal while standing and nimbly maneuver over and around trail debris. 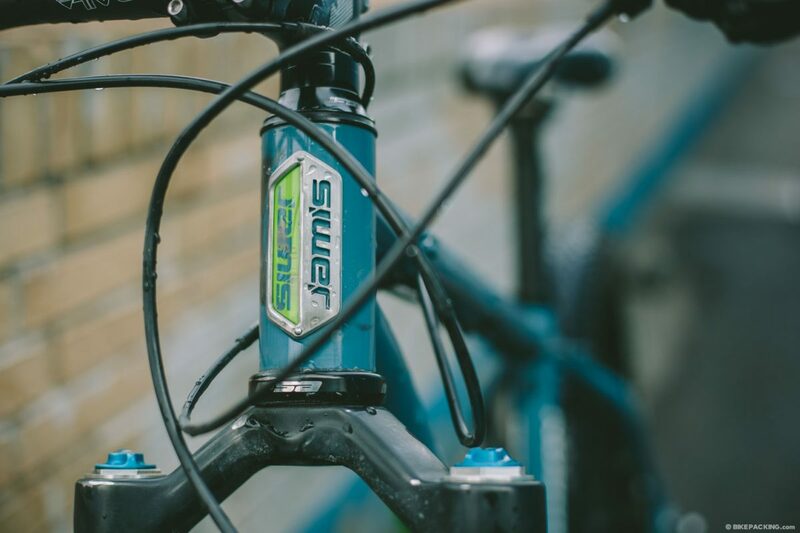 I’m more accustomed to full suspension when trail riding, but, despite the steel frame and hardtail, this bike was amazingly responsive to subtle shifts in weight. 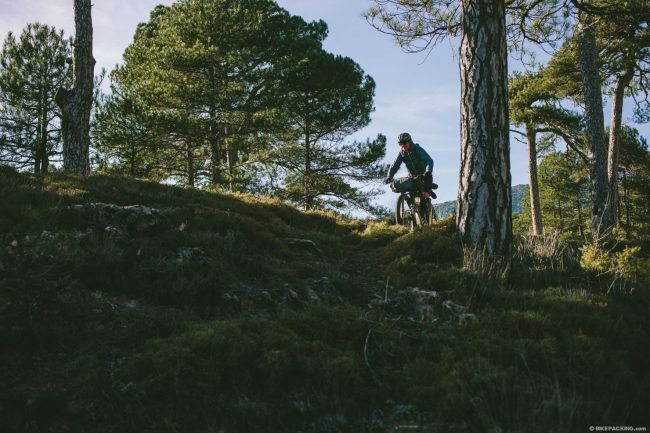 I felt confident in fast corners and on flowing downhills. 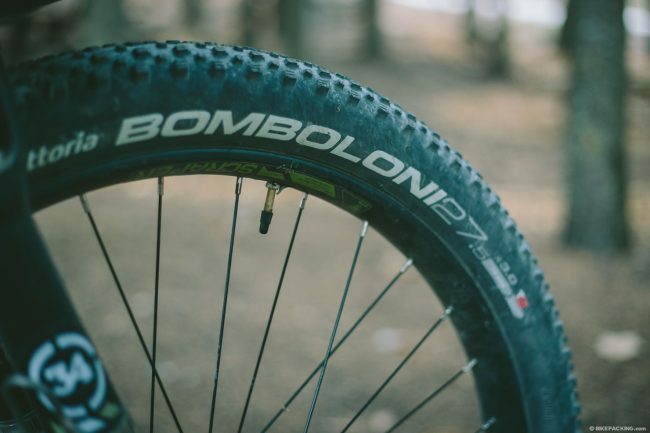 The tubeless-ready Bomboloni’s are branded as snow and sand tires, and, although they felt a little cumbersome in the really thick sand, they rode like a dream over the finer stuff. They maintained their grip over rocks and in corners but were really fast rolling both on and off-road. Unfortunately, I did get one tear from skulling a very sharp rock at pretty high speed. I guess no tire is bullet-proof. Within just a couple of days on the “road”, my concerns were laid to rest. Even on “fresh” legs, the thick sands of Cadiz’ Atlantic coast were mostly manageable under the Vittoria Bombolinis. Riding in thick sand is never easy, but with sufficient momentum, the 3” tires provided enough flotation to keep me from being mired in it. We quickly moved from sandy beaches to loose dust, sand and pine strewn hills. 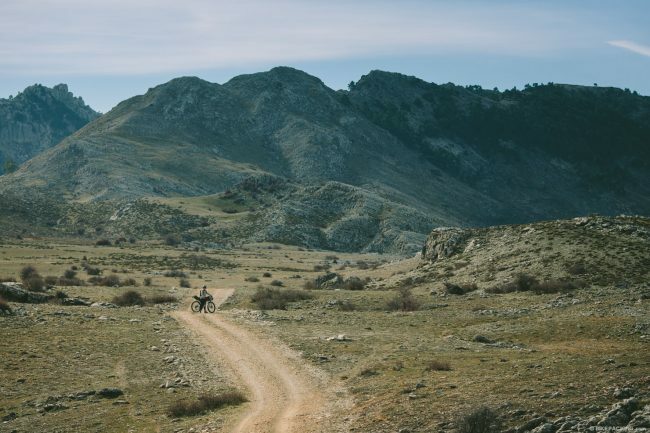 Once we hit the GR7, it was rough riding, loose granite mixed with larger boulders, deeply rutted and partially washed out tracks. 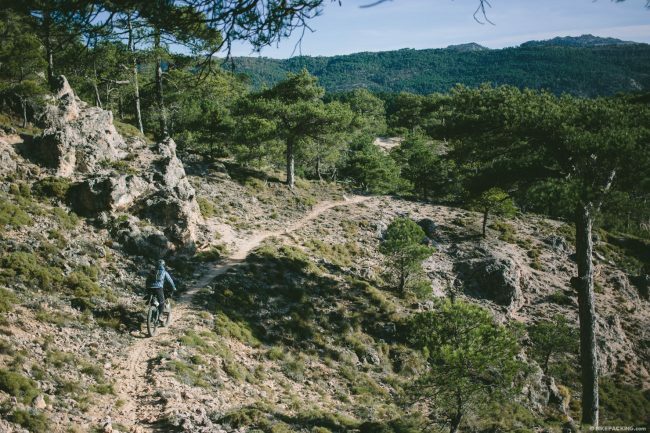 We saw our fair share of smooth climbing pisté (gravel) but interspersed it with pebbly goat tracks littered in dried olives. We enjoyed some nice, rooty east coast style dirt and fine sandy washes as well. Through it all, the Dragonslayer performed beautifully. Fortunately for me, I cannot attest to its capabilities in the snow or mud, as there’s an ongoing drought in southern Spain. I can only imagine how much fun it would be to take the Dragonslayer out on the trails in the buff, because it was such a blast to ride when loaded. 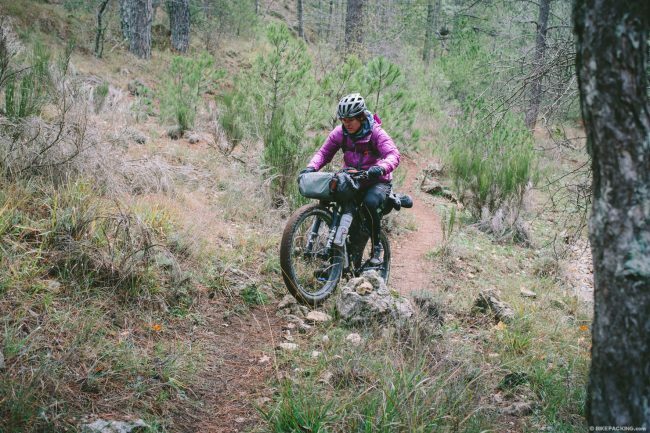 I wasn’t sure what kind of conditions we’d be facing on the six week journey through southern Spain, so I planned for the worst, which meant multiple cold weather layers and rain gear, including heavy waterproof shoe covers. 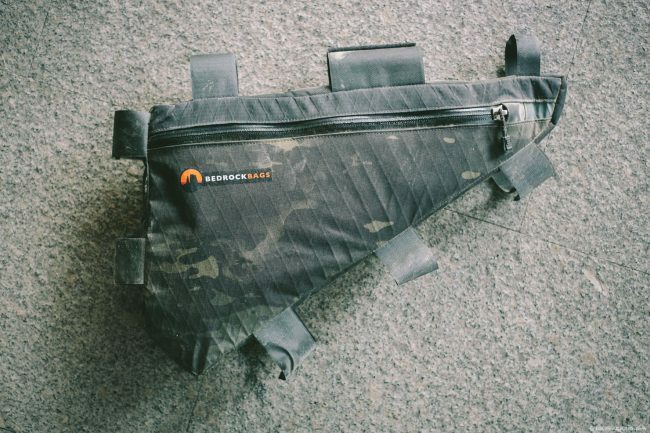 On previous extended bike travels, I’ve used a rear rack, with an assortment of smaller panniers and saddlebags. So I was pleasantly surprised by the amount of equipment the Dragonslayer could manage. 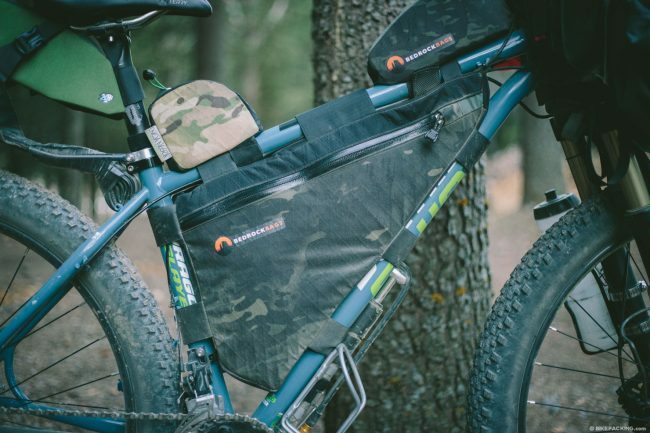 The straight frame design and more narrow chromoly tubeset create an amply sized frame triangle, so I was able to max out the Bedrock framebag. And, even with my seatpost lowered to accommodate my relatively short legs, tire rub wasn’t an issue; there was enough space between the saddle rails and the rear tire to accommodate the streamlined Porcelain Rocket Mr. Fusion seat pack. 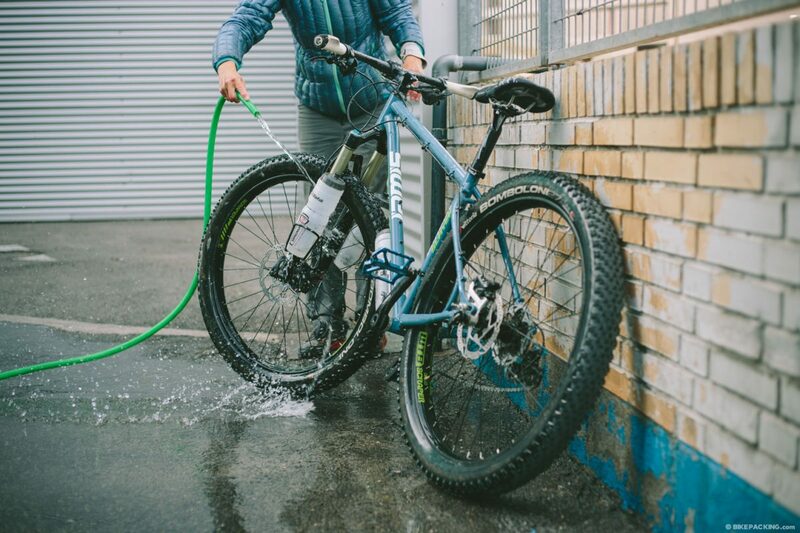 And the cage mounts on the down tube are a nice addition, increasing the bike’s water carrying capabilities. 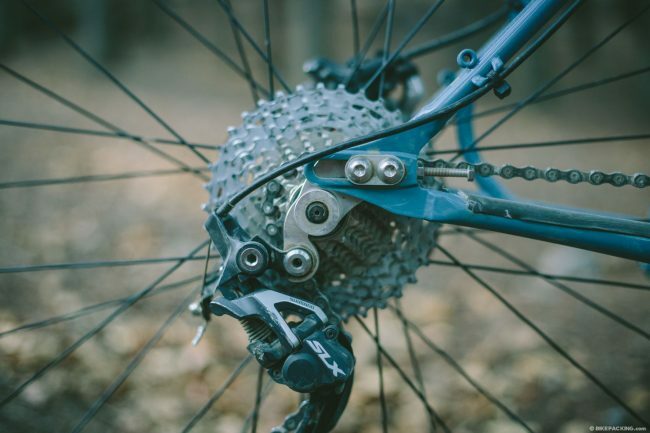 It’s also worth noting Jamis’ choice of 22/36t chainrings on the 2×10 crankset; this combo along with the 10s 11-36t cassette makes a great ration for loaded bikepacking. 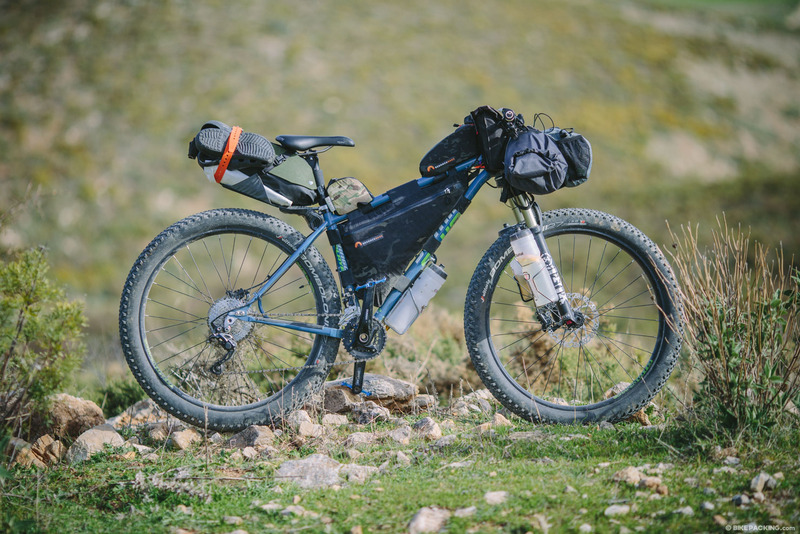 A proper bikepacking granny gear enabled me to out pedal Logan on the steepest of hills we encountered. All in all, the Dragonslayer really is fit for adventure. If this review seems to be one-sided, or lacking in constructive criticism, it’s for good reason. I loved riding this bike. Not surprisingly, it took my bum a little while to get accustomed to a new saddle. But, besides that, the ride was comfortable from the get-go. 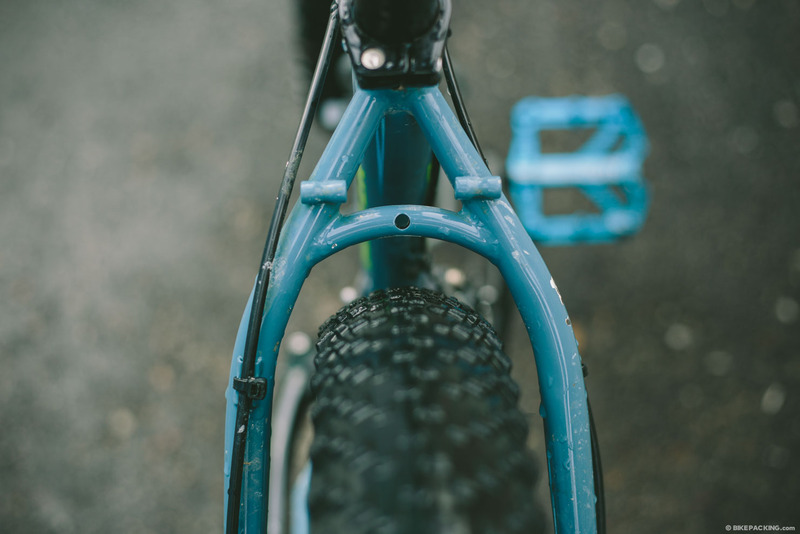 Transitioning from an upright, cruising position to a more aggressive downhill stance was seamless. 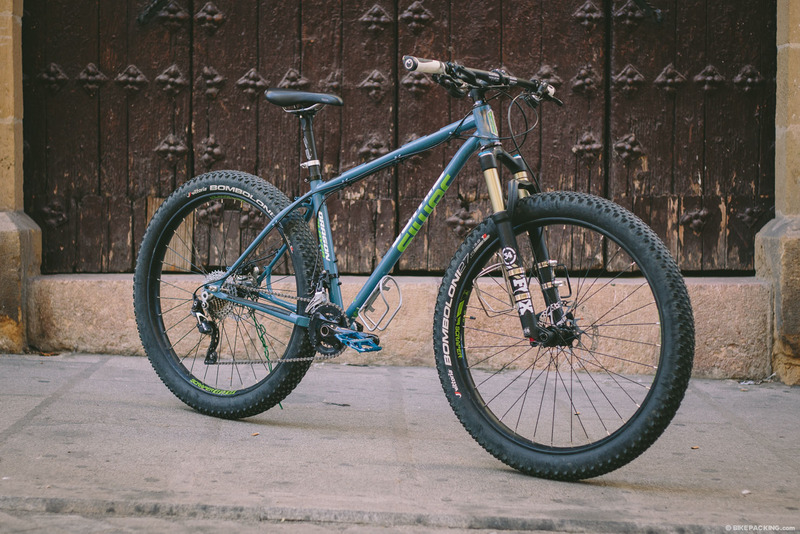 The responsive ride added to my confidence, as did the bigger tires. 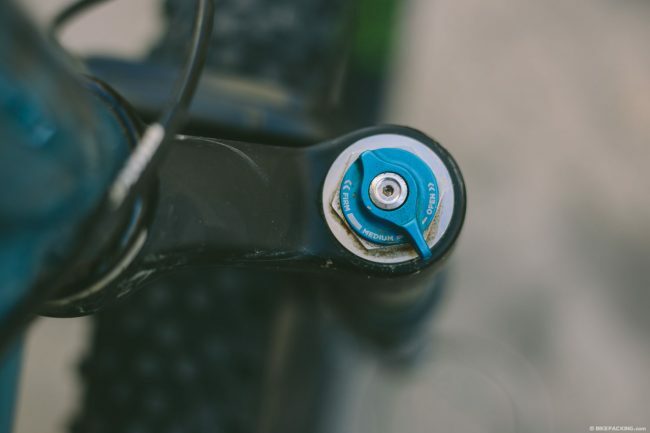 The fork/fat tire combo dampened the vibrations and jarring that can turn an otherwise beautiful ride into a painful suffer fest. 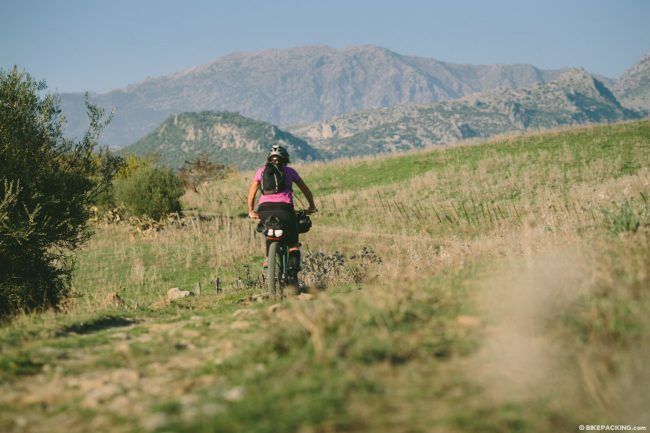 It’s completely fair to say that I felt my trail riding skills improve dramatically over the course of the six weeks I had with the Dragonslayer. At last, it turns out that I’m not destined for discomfort and mediocre mountain biking. I don’t have to merely get by, or spend my days toiling away at work while my stepsisters get to have all of the fun. I’ve found my glass slipper, and it fits perfectly.